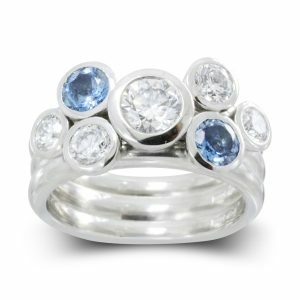 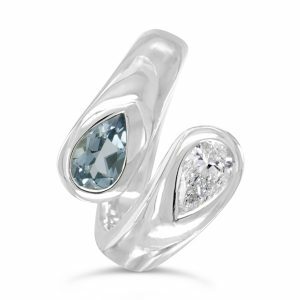 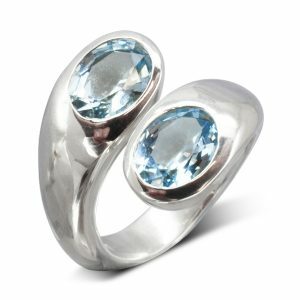 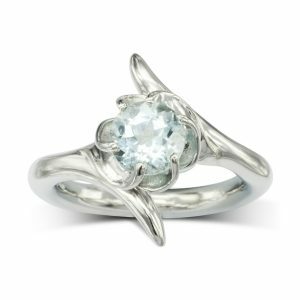 Aquamarine is the birthstone for March and the gemstone used to celebrate the 19th wedding anniversary. 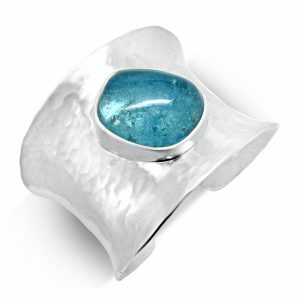 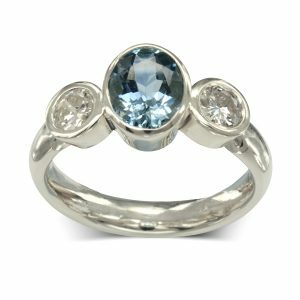 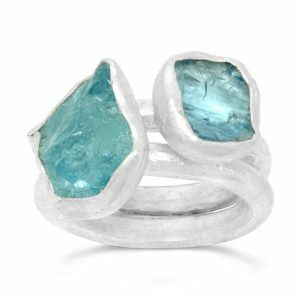 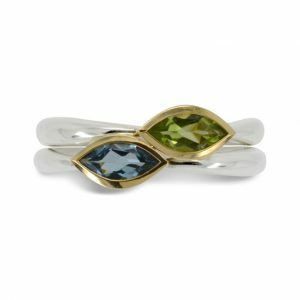 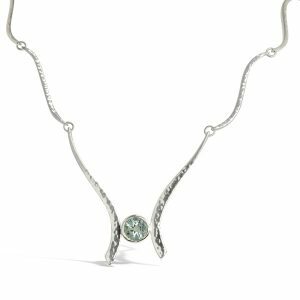 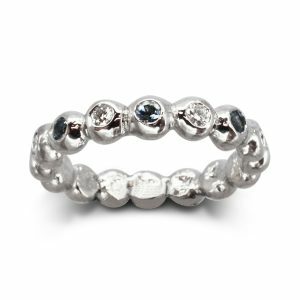 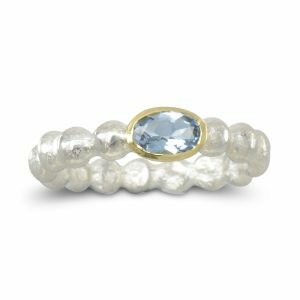 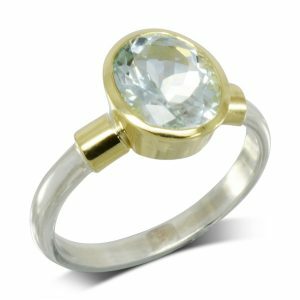 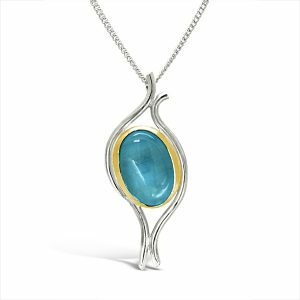 Aquamarine is a fascinatingly beautiful gemstone, it’s name comes from the Latin for seawater not just for it’s colour but because it was said to calm waves and keep sailors safe at sea. 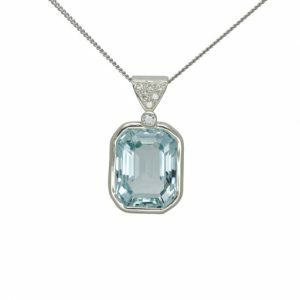 The best Aquamarines combine high clarity with limpid transparency shining over an extraordinarily beautiful range of blue to green colours. 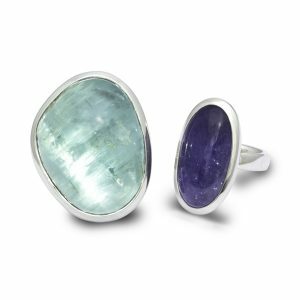 It occurs in large crystals inspiring creative gemstone designers to create new artistic cuts again and again due to it’s many good qualities and it’s hardness makes it very tough and protects it to a large extent from scratches. 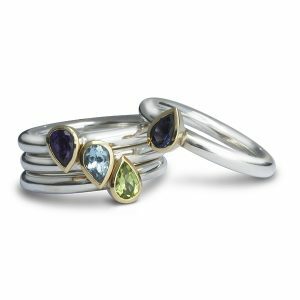 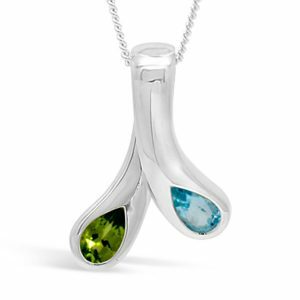 It is almost as popular as the classics: ruby, sapphire and emerald. 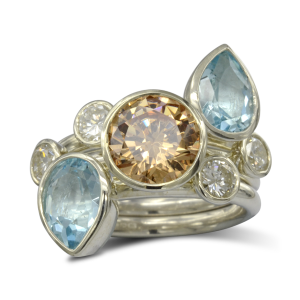 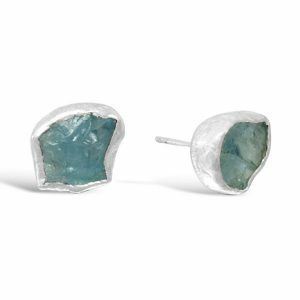 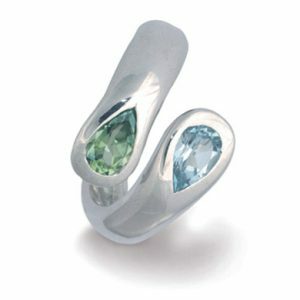 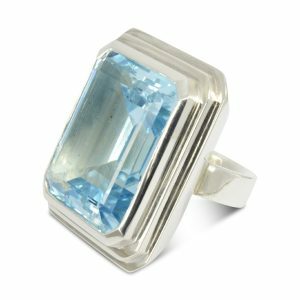 The more intense the colour of an aquamarine, the more value is put on it. 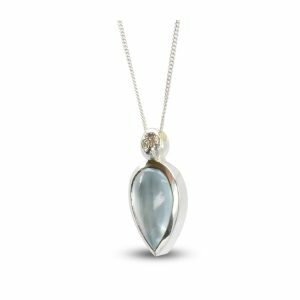 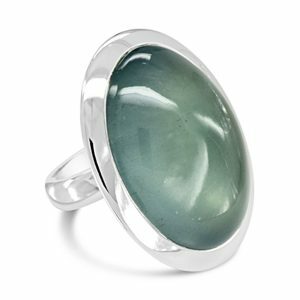 We look out for large cabochons of good colour with attractive inclusions that are often “moonstone like” and incorporate them in to creative hammer worked pieces in silver. 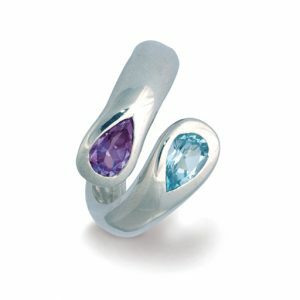 We usually have some in stock waiting for that special commission.